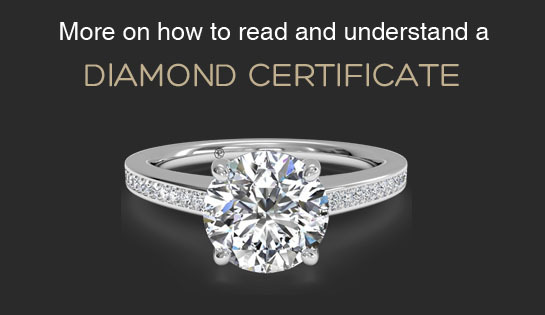 Before we dive into the details of an actual Diamond Certificate, it is important to understand the purpose of a Certificate. A Diamond Certificate is a statement, issued by an independent Gemological Laboratory, that at the time of evaluation, the Diamond in question has been examined by experienced Diamond Graders, using various gemological instruments, and determined to contain the characteristics as stated in the Certificate. 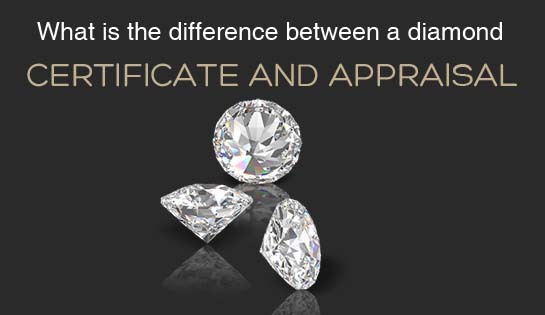 As we discuss the various elements contained in the certificate, we will describe which gemological instruments were used to evaluate the specific property under discussion. We recommend strongly that you do not buy any diamond without a Diamond Certificate. GIA is the foremost Laboratory in the world, though there are other reputable labs out there. However, not all labs are made alike. If you found a Diamond you like, and it is not certified there is nothing wrong with asking your Jeweler to send it to a reputable independent Gemological Laboratory for certification. If your Jeweler has a problem with that, then you should start asking your jeweler and yourself many more questions! This request is a standard practice in the Diamond Industry. The number one most important item to look for on a Diamond Certificate is the name of the laboratory! If you never heard of the Laboratory, don't feel shy about giving them a call to check them out. Also, if the laboratory is an independently owned franchise and the certificate you were given is not local, you may want to call up the lab, either the local one or the one that issued the certificate, and ask them by which standards they grade their Diamonds. Find out if they honour the grades given out by the other branches. Every lab has a certificate (or " report") number, which uniquely identifies a Diamond. The Lab keeps an internal copy of everything which you see on the certificate, plus some additional information for their files. If you call up the Lab and give them the certificate number, they can even reissue a certificate if you lost it! Shapes include: Round, Pear, Heart and Oval. Cutting Styles include: Brilliant, Marquise, Emerald, Princess, Step and Mixed.
" minimum - maximum x depth " are calculated to the hundredth of a millimeter by a non-contact measuring device or a micrometer. Diamonds are weighed to the thousandth of a carat with a digital measuring device. On the certificate, weight is rounded to the hundredth of a carat. Depth percent refers to the percent of the depth of the Diamond, table to culet, relative to the width of the stone. The Table of a Diamond refers to its largest facet, the main part of the Diamond you look at when the stone is face-up. The Girdle of a Diamond is the dividing line between the crown, or top part of the stone and the pavilion, or bottom part of the stone. Girdle thickness can be very thin in part of a stone and very thick in another part. That is why it is expressed as a range. The girdle can also be faceted, or not. A faceted girdle usually improves the look of the stone, and involves having the cutter polish facets into the girdle. Below are example Girdle thicknesses. The Culet of a Diamond, if there is one, is the facet on the pointy bottom part of the Diamond. Its existence helps prevent chipping. Below are example culet size. Finish describes the polish of a Diamond and how symmetrical, or how evenly, the facets have been placed. Polish refers to the quality of the polish on the facets. An excellent polish reflects the care taken by the Diamond cutter. Symmetry refers to how precisely the facets are aligned to each other. It is easy to detect this property with a loupe. Look at the table of your Diamond. Does the right side look like a mirror of the left? Do all the facets have more or less the same shape, or do they vary greatly? Clarity ranges from the best grade of IF, down through VVS1, VVS2, VS1, VS2, SI1, SI2, I1, I2 until I3. Clarity is a reflection of the number, size, placement and nature of inclusions and/or surface irregularities on the Diamond. The experienced Diamond Grader examines the Diamond with the aid of a Stereo Microscope, which aids in identifying the nature of an inclusion, or finding pinpoints (very, very tiny crystals inside the Diamond). However, the actual grade is based only on what is visible under a 10X Loupe. Color ranges from the best grade of D, down to Z. After Z are Fancy Colors. Color grade is determined by examining the Diamond next to a master set of color comparison stones, under special lighting. Fluorescence refers to a Diamond's reaction to long wave ultraviolet radiation. If a Diamond has too much fluorescence, some feel strong fluorescence can make a Diamond less desirable. Below are example values for Fluorescence. A Plot is a graphical representation of the imperfections of the Diamond. Each Diamond is as unique as a fingerprint. By plotting its characteristics, and combining this with the physical measurements of a Diamond, a Lab can uniquely identify each stone. This plot helps the Grader in the even that a customer returns to the Lab and requests a verification that the Diamond presented with a certificate refers to the same Diamond described in the Certificate. Internal characteristics are plotted in red, and external characteristics are plotted in green. Comments are used to describe characteristics not discussed elsewhere on the certificate, or to mention items not plotted. For example, "minor details of polish are not shown" is a common comment. If you have a certificate with an SI3 grade, you might like to know what it means. There has been talk for years about introducing an SI3 grade to further subdivide the range between SI2 and I1 stones. EGL - Los Angeles, (European Gemological Laboratory) started to give out SI3 grades, followed by the "Rap Sheet" (a trade-publication of Diamond prices), incorporating SI3 into their price list as well. Therefore, many feel the SI3 grade has "made it".